June 30, 2017 – a.i. solutions is part of a team of companies awarded a National Oceanic and Atmospheric Administration (NOAA) contract to provide professional engineering services for its ProTech – Satellite Domain. 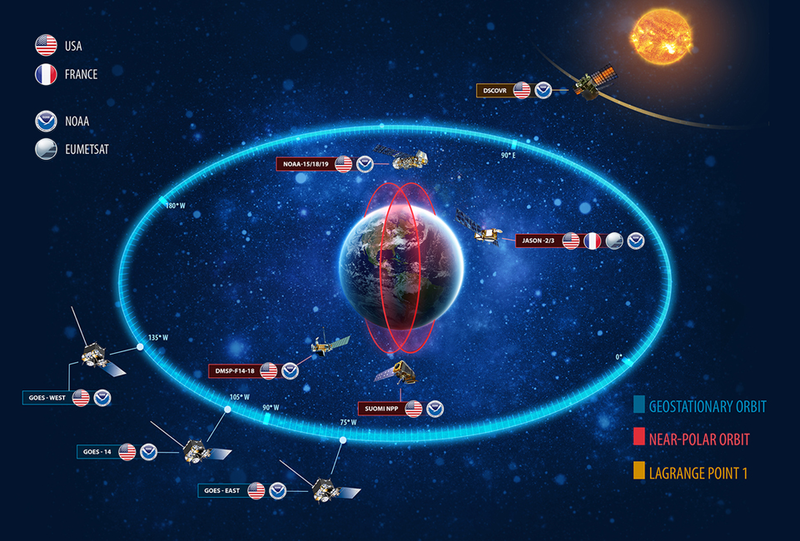 NOAA has awarded 23 Multiple Award, Indefinite-Delivery, Indefinite-Quantity (MA-IDIQ) task order contracts under its ProTech – Satellite Domain. a.i. solutions has teamed up with INNOVIM, a Woman-Owned Small Business, as a sub-contractor under this contract award. The contract will support the full range of satellite activities, including satellite missions, which NOAA manages or in which NOAA participates, and management of the environment data resulting from those missions. NOAA’s environment satellite data is essential for forecasting weather, analyzing environmental and climate phenomena, and monitoring hazards worldwide. Under the requirements of the contract, a.i. solutions will help provide support for NOAA’s mission via orbit design, mission analysis, orbit determination, pre- and post-launch support, and attitude determination that are currently being performed on NOAA-N, -N’, GOES-N through -R, Suomi National Polar-orbiting Partnership (S-NPP), JPSS, and the Deep Space Climate Observatory (DSCOVR) satellites.